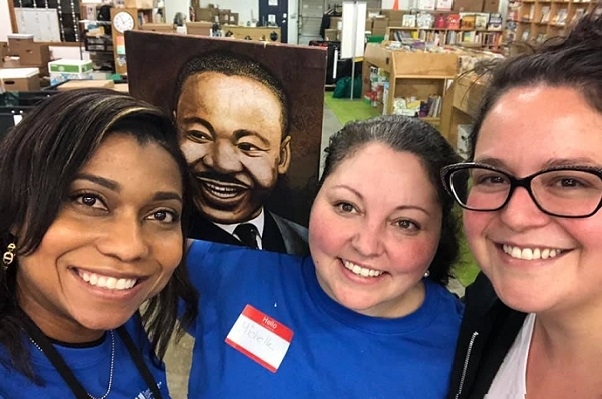 Here at Regence, our employee volunteers celebrate the spirit of service and giving back throughout the year—and especially every January in honor of Martin Luther King, Jr. (MLK). This past holiday weekend was no exception. In Washington, employees lent a helping hand at Vision House, a local nonprofit that supports families facing homelessness. 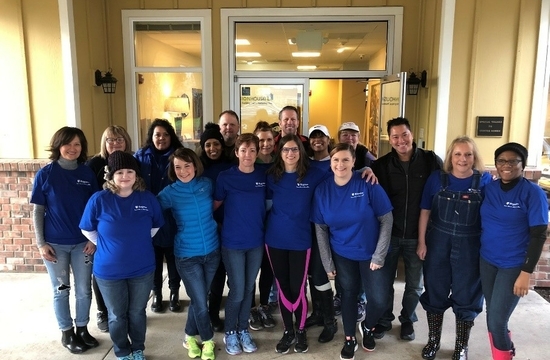 Volunteers joined the United Way of King County’s MLK Day of Service to help Vision House provide a warm, welcoming environment for children who participate in their programs. This included painting classrooms and doing yard work around the property. 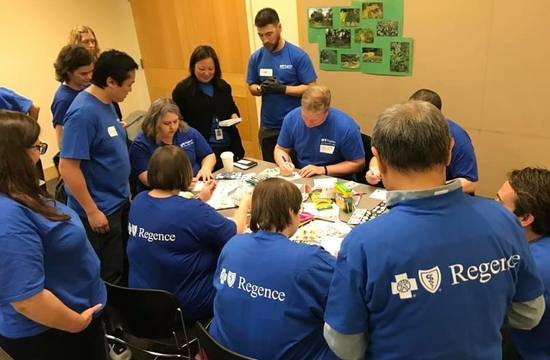 In Oregon, volunteers rolled up their sleeves and participated in a variety of service events, as part of the United Way of the Columbia-Willamette’s MLK Weekend of Service – a community event that Regence has sponsored for four consecutive years. Joining alongside hundreds of volunteers from across the greater Portland area, in support of community nonprofits, our crew in Blue assisted with food production and assembly in the Central Kitchen at Meals on Wheels; sorted donations at nonprofits like Habitat for Humanity ReStore and Dress for Success; prepped winter tools at Growing Gardens, and more. 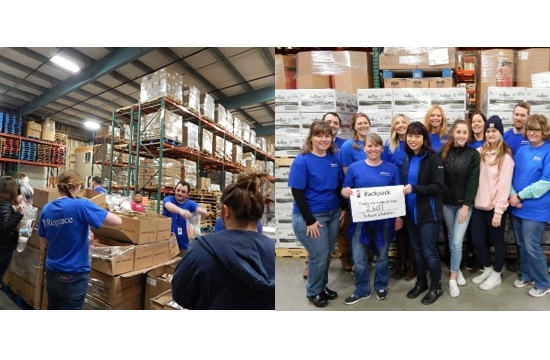 Idaho Regence employees supported local families in need by filling over 2,600 backpacks with nutritious food, in support of the Idaho Foodbank’s annual Backpack program. These backpacks will be distributed to schools across the state to ensure children who are experiencing chronic hunger have access to nutritious meals on weekends throughout the school year. 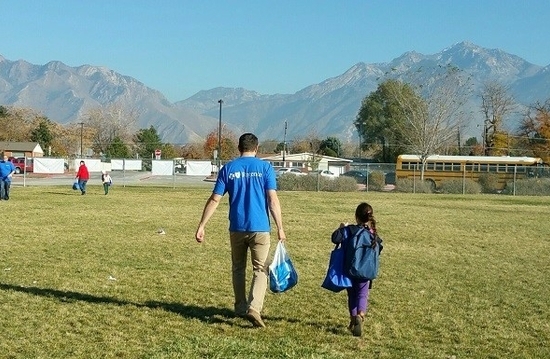 And earlier this month, volunteers in Utah partnered with the Utah Food Bank to support seniors and youth in the community. Our volunteers sorted, packed and distributed shelf-stable food through the Food Bank’s Mobile Food Pantry initiative, ensuring that the state’s most vulnerable neighbors have access to nutritious food. Here at Regence, we’re proud to do our part to give back to the communities that we serve. Together, we can build healthy, vibrant communities and create lasting change.